Wow... those look like some tiny little HST's in there -- love it! Congrats on your beautiful finish! Neat design with the pattern made by your little triangles. 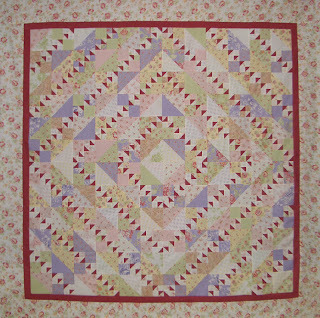 Hope you get it quilted soon so you can enjoy it! 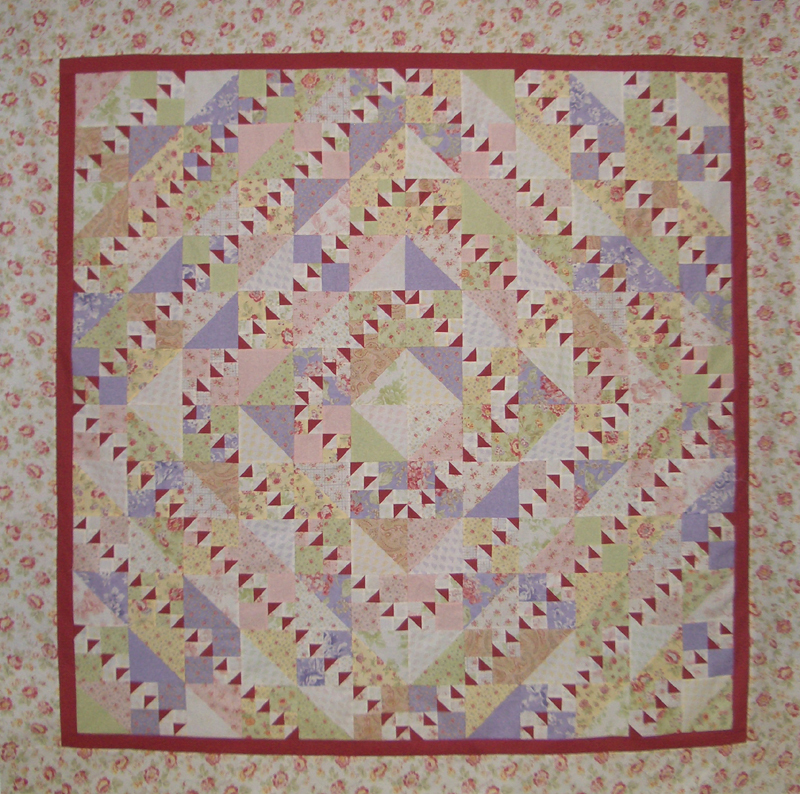 Pretty quilt--very fresh color scheme.